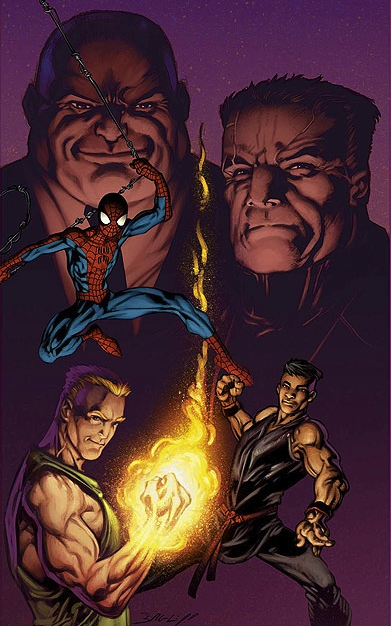 'Ultimate Knights' marked the final hurrah for Mark Bagley on 'Ultimate Spider-Man'. He would show up for guest spots (the most notable being the 'Death of Spider-Man' storyline and 'Ultimate End' if you count that) but this was the end of his stint as regular artist. 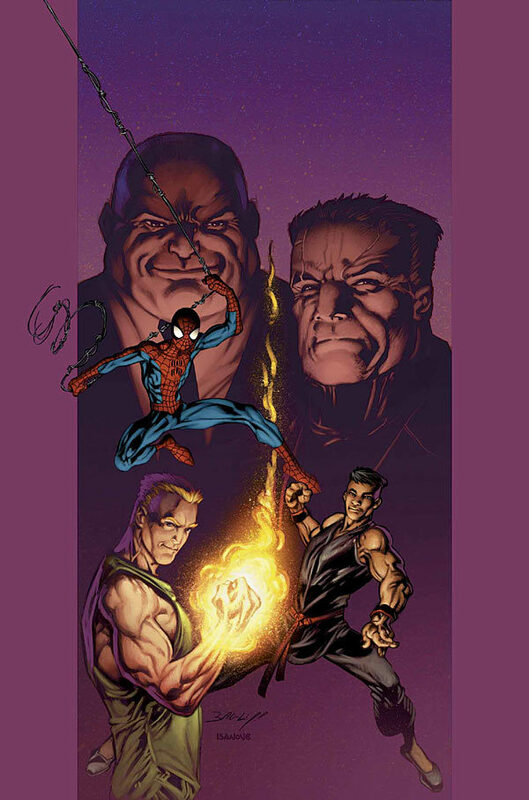 At 111 issues together Bendis and Bagley had the longest-running partnership together on a Marvel title, a record that has yet to be broken. In my opinion this was one of the most enjoyable storylines on the title. Lots of good stuff had to be cut out so be sure to check out the actual issues if you liked this. 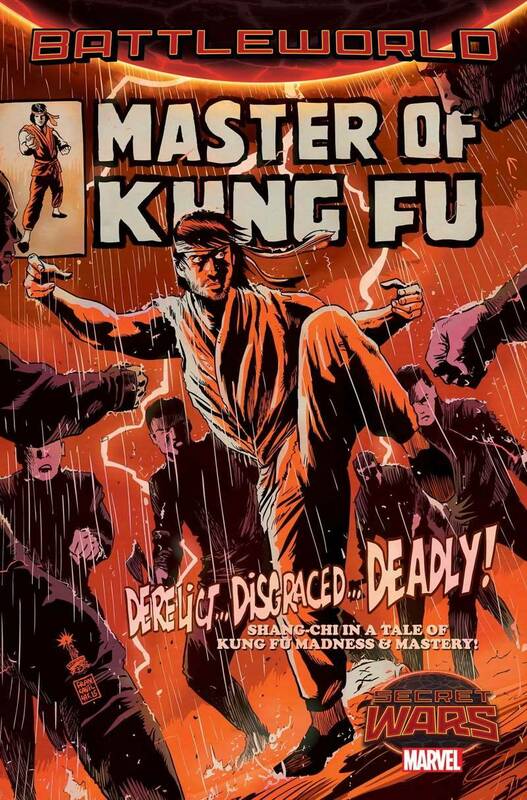 With the popularity of Marlon Brando in this thread, http://scans-daily.dreamwidth.org/3163793.html?#cutid1, I thought I would show a character from the MASTER OF KUNG-FU series. James Larner, agent of MI-6, bears a striking resemblance to Marlon Brando. After the cut, most of the pictures are from MASTER OF KUNG-FU #49, with story by Doug Moench and art by Paul Gulacy. EDIT: Fixed, but not by me. 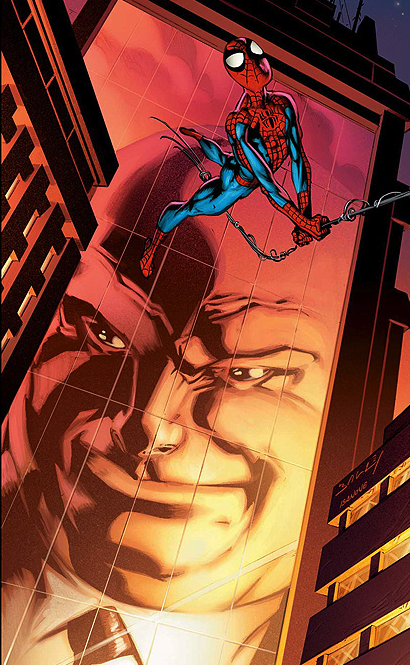 So this post is the final part of my Kingpin series, marking not only the conclusion to the long-running Kingpin story arc on Ultimate Spider-Man, but also Bagley's tenure as the series' artist. He would show up from time to time in guest-spots (and of course 'The Death of Spider-Man') but this was his 'swan song' to the title. Ok, it took me a while to figure out what exactly I was seeing, but now that I do. Wow. ComicBookResources.com has the interview with editor Seve Wacker. ... this needed to be posted to behold poetry in motion. While the marriage may not be back (yet), I am proud to say the Amazing part has. I'm late for Martial Arts Week. 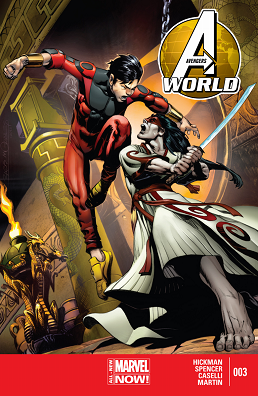 Here's a battle between Shang-Chi, the Master of Kung-Fu, and M'nai, the Midnight Sun. One will live. One will die and then get his body stolen and revived by Kree scientists to fight the Silver Surfer some years later.